The April guild meeting was full of fun activities and an inspiring show-and-tell session! Here’s a recap of the meeting, along with some important reminders. Emily and Susan led an exercise for painting our own color wheels, as part of our series on color and value. In May, Kari will give us a fantastic presentation on color theory, and we will be challenging everyone to create a mini quilt based on the our color and value meeting activities. Bring your un-bound mini to the June meeting for demos and tip on unconventional finishing. In conjunction with our series on color and value, Ruby Ruler has offered us a group discount on their Ruby Ruler that helps you read the values in your fabrics. Click here if you would like to order a ruler. The cost is $13 (a $3 discount!) and you can read about how it works here. Signups for the quilted postcard swap with the Salt Lake City and Madison WI guilds will be going out at the end of April. Signups will close mid-May, with a mailing deadline at the end of July. As part of their kids summer camp this year, the Epilepsy Foundation of CO has asked if we could help them with making super hero capes. The will supply us with the fabric, all we need to do is sew. Fabric and the simple and quick pattern will be available at the May meeting, and we will collect the completed capes at the June meeting. If you can’t make it to a meeting and want to participate, reply to this email and Erin can send you the fabric. The Rocky Mountain Quilt Museum has offered to host our odd-month meetings. Starting in July, guild meetings in odd months will be at the museum and even months will be at Fancy Tiger. (the May meeting will still be at Fancy Tiger) Special thanks to Mitzi for setting this up for us! Thanks to everyone who came out to Grandma’s House for the April Sew Day! We had a great time sewing and chatting surrounded by barrels of beer. We’ll be having another sew day this summer. On April 28th at 1:00, The Rocky Mountain Quilt Museum is holding a panel featuring quilters from the current men’s exhibit at the museum. Fancy Tiger is hosting a meet and greet with Carolyn Friedlander on September 7 at 7:00 pm. The Rocky Mountain Quilt Museum is hosting a fabric challenge. Entry deadline is June 30; the exhibit will run Oct. 22 through Jan. 19. 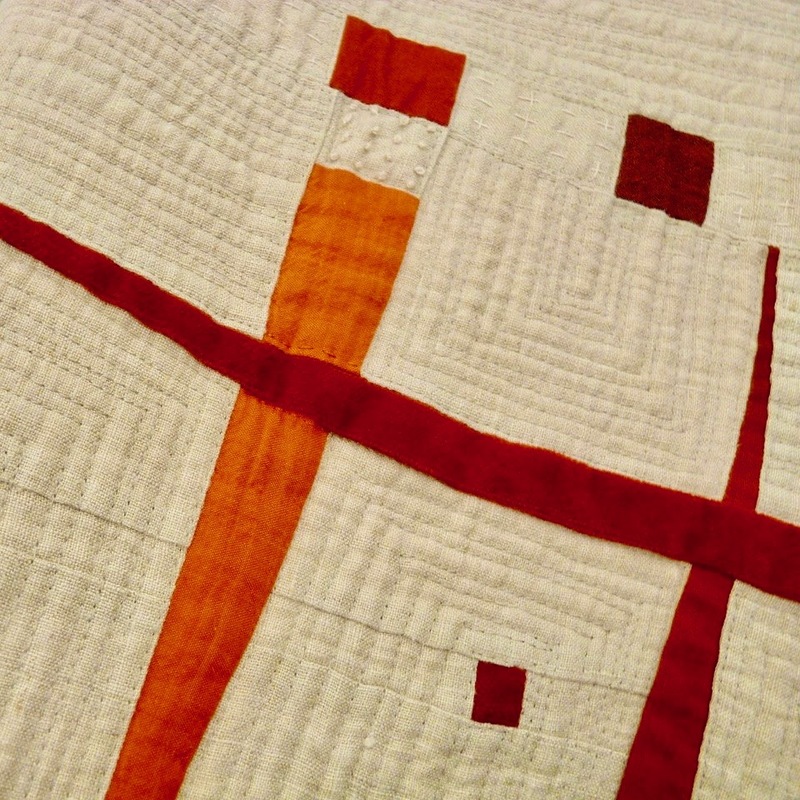 The Boulder MQG is planning An Exploration in Sustainable Modern Quilting, an exhibit that will run October through December at CU Boulder. Details can be found on their website. Entry deadline is Sept. 1. Programming: Color Theory with Kari, and show and tell.